Carbohydrates; Study it well before you consume it!Carbohydrates; medicine if consumed in proper quantities but poison when over consumed. Korean people can do away with any meal when there's a bowl of rice and kimchi. Noodles, which are delicious and easy to eat, but Koreans do not feel sick of noodles even after three consecutive meals. If sweet snacks appeal to your taste after a meal, you are already a carbohydrate over consumer. A recent survey of 1000 Korean adults found that 65% of Koreans are carbohydrate over consumers and among them 9% are addicted to carbohydrates. Carbohydrates are an essential energy source to human life, but if you consume too much of it, it may cause fatal problems. Carbohydrates are like a medicine if consumed in proper quantity, but can also be poisonous when over consumed. In the 131st issue, I would like to expose the truth bout carbohydrates through this Cover Story. 1. Carbohydrate; How should I define you? Carbohydrate, protein and fat are essential nutrients for the human body, and make muscles move and the brain function. One gram of carbohydrate can burn 4 kcal. The brain, which weighs 1400g, is just 1/40 the size of our entire body, but it burns more than half of the dextrose a human uses in a day. Cells in the human body use the last of the dextrose for their energy. Dextrose is in our blood, and the blood distributes dextrose when it circulates through the body. In this way, all energy-using parts like the brain, and the movement of bones and muscles, comes from burning carbohydrates. Therefore, carbohydrates are the most basic energy source in the human body. Carbohydrates are composed of saccharide and dietary fiber. Of these two components, carbohydrate addiction comes from the saccharide part. The saccharide in carbohydrates, supplies energy and dextrose for body activities, but when it's oversupplied it can be the cause of obesity, diabetes, and various adult diseases. The daily recommended allowance of carbohydrates is about 100g to 130g for an adult person, but modern people eat not only rice but also a lot of chocolate, bread, snacks, noodles, and ice cream. These foods all contain refined carbohydrates. So, as they are consumed and absorbed into the body after digestion, the result is an increase in blood sugar levels. 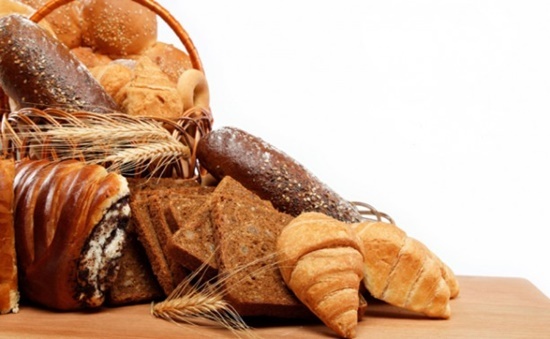 As people ‘over-consume’ these refined carbohydrate products, they become ‘over-carbohydrated’. 2. Why do we like carbohydrates so much? Like I mentioned before, refined-carbohydrates cause carbohydrate addiction. Refined-carbohydrates are a nutrient that only supplies calories by getting rid of carbohydrate fiber and essential fatty acids. 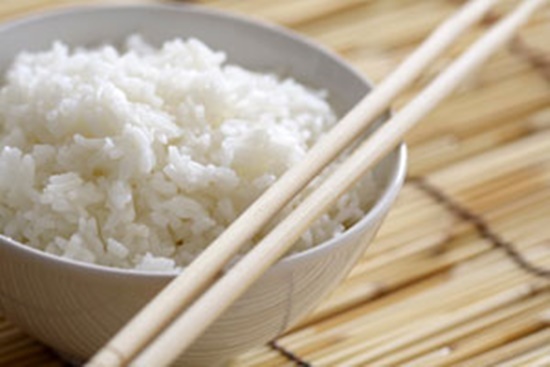 These include artificially refined and manufactured foods like white flour and rice. Refined-carbohydrates are absorbed into the body as they are consumed. They radically increase blood sugar levels and overflow energy inside the body. However, after a short time the blood sugar level quickly decreases. When your body feels the need for carbohydrates, it will search for another way of supplying carbohydrate. Also, when you consume a high-carbohydrate meal, a hormone called 'serotonin', which makes you feel happier, will secrete more than when you consume low-carbohydrate meal. 3. Koreans over consume carbohydrate. According to research from the national nutrition survey, the average Korean adult consumes three times the carbohydrates needed for healthy nutrition. This represents about 289.1 grams. Since 1990, as the public's eating habits have changed, the main intake of nutrients like fat and carbohydrate has increased overall. According to a survey of national nutrition conducted by the Korea Center for Disease Control and Prevention, between 1998~2013 daily fat intake by Korean citizens increased from 40.8g in 1998 to 47.7g in 2013. That's an increase of about 6.9g (16.9%) in 15 years. Saccharide intake from refined-food increased from 38.8g in 2010 to 40.0g in 2012. Since Korea's main food is rice, the problem is getting much worse. Maybe it's not an astonishing figure for the traditional Korean table, which has evolved for saccharides like rice and flour. It might be a natural result to be "over-carbohydrated" since in todays modern society there is plenty to eat. 4. How to diagnosis if you are addicted to carbohydrates. Am I consuming too many carbohydrates? If you think you may have a carbohydrate addiction, let's check out the following list. 1. Sometimes, even if I feel full, I continue to eat rice, bread, and snacks. 2. I have cousins who have been through obesity, high blood, or heart disease. 3. I feel like eating something when I’m stressed out. 4. I drink more than a cup of coffee mix each day. 5. I prefer brown rice more than white rice. 6. I use syrup or sugar whenever I drink coffee. 7. I skip breakfast three times a week. 8. I eat Korean cold noodles or 'bean paste stew and rice' while drinking alcohol. 9. I eat late-night meals three times a week. 10. I eat dessert after a meal. 11. I prefer to dine out rather than eat at home. 12. I eat snacks between meals. 13. I eat noodles more than once a day. 14. I drink sparkling beverages or juice more than once a day. 15. I go to drinking parties more than three times a week. If you checked more than 10 of the checklist above, then you are addicted to carbohydrates. If you have checked 5~9, you are over-consuming carbohydrates. If you have checked less than 4, you are consuming carbohydrate adequately. 5. Carbohydrate, 'too much is as bad as too little'. If you over-consume carbohydrate, you are more likely to become obese. Due to this problem, it causes various lifestyle diseases. Eventually, you will become addicted to carbohydrates and continue a 'vicious circle' with your health. These are the main points when over-consuming carbohydrates. For those reasons, you can see many people give up on over-consuming carbohydrates, claiming it as 'the cause of obesity' and the 'enemy of a diet'. But if you don’t consume enough carbohydrates, you will see changes like the degradation of fat and weigh loss. 6. How to properly consume carbohydrate. Then, how can we be free of carbohydrate addiction and consume it properly? First, it is good to intake more protein than carbohydrates. We can say that egg whites, chicken breast, and fish are typical protein meals. Protein is better than carbohydrates since the feeling of satiety lasts longer for the same amount. If you want to eat something, it is good to consume vegetables and fruits that are full of fiber. Selecting carbohydrate foods is also a good way. Not all carbohydrates are bad for your body. If you consume unrefined brown-rice and mixed grains, it will help prevent obesity, heart diseases, and lower the cholesterol in your body. 3. Reduce the carbohydrate in your side dishes. 4. Fill your hunger with protein and vegetables. Experts say that when you are on a diet or building muscles, the first thing you have to do is to reduce the consumption of carbohydrates. But in all respects, this is when you don't know the right way of consuming it. If you are well aware of carbohydrates and the proper way to consume them, you can keep your body healthy. But the most important fact is that carbohydrates are an essential energy source for our body. When adequately consumed it becomes medicine, but too much of it becomes toxic.